Most visitors to Asheville, North Carolina come to see George Vanderbilt's Biltmore Estate and to drive the Blue Ridge Parkway, but I roared into town on the back of my man's BMW R1200GS motorcycle to explore one of America's greatest undiscovered food towns. Most visitors to Asheville, North Carolina come to see George Vanderbilt's Biltmore Estate and to drive the Blue Ridge Parkway, but I roared into town on the back of my man's BMW R1200GS motorcycle to explore one of America's greatest undiscovered food towns. Asheville is a foodtopian culture with 13 active farmers markets and 250 restaurants serving local, fresh farm to fork regional specialties and indigenous foods of Southern Appalachia. While you can walk just about everywhere in this 40-block-long city, you need wheels to get to the River Arts District which, according to the guide book, is home to 200 artist studios, galleries, and restaurants. Where are they? Everything here looks like junkyards and tear-downs, but we soon learn that's on purpose and inside are some of Asheville's hottest restaurants and bars. The locals are an eclectic bunch and like their exteriors looking like dives. Our mesh jackets and leather boots fit right in. 12 Bones Smokehouse http://www.12bones.com is open only for lunch on weekdays. President Obama has been twice and says it's his favorite Asheville BBQ place. A line has formed long before noon, but it moves quickly, and soon we're diving into blueberry chipotle ribs, "damn good corn pudding," (that's what it says on the chalkboard menu), jalapeno cheese grits, and sweet vinegar coleslaw. I look at myself in the full-length mirror of the restroom and appear to be as thin as a beanpole. 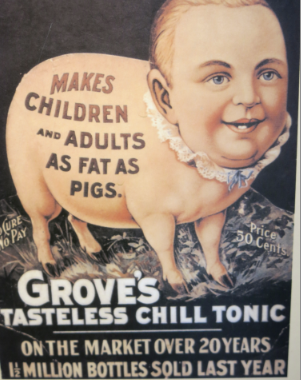 Then I see the sign above the trick glass: SEE --GOOD BARBEQUE MAKES YOU SKINNY. 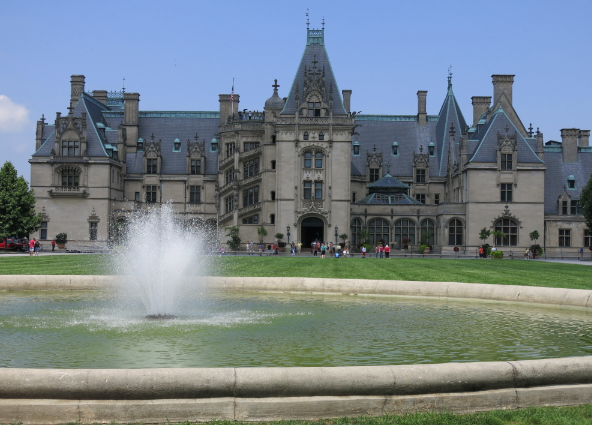 At the Biltmore Estate http://www.biltmore.com, we don audio headsets and take a self-guided tour through some of the 250 palatial rooms, then join the "Architect's Tour" to visit areas not open to the general public on the upper floors. The Upper Observatory parapet which Vanderbilt built to show off the view to his guests looks out over the manicured lawns and valley beyond. I wonder if climbing up and down these endless flights of stairs and strolling through the flowering gardens will offset our lunch - it never hurts to hope. 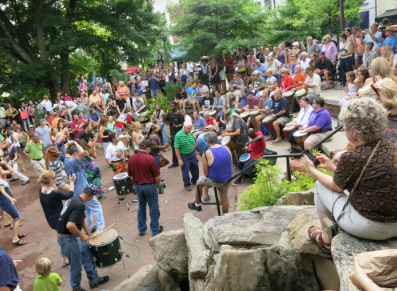 Each Friday night, there's a Drum Circle in Pritchard Park where locals and tourists pound on drums, cowbells, plastic bottles -- anything that makes noise. Many dance, including mothers in tie-died shirts holding babies, fathers with toddlers perched on their shoulders, and teens swaying as if in a trance - a more genteel version of Woodstock. Dinner is at new hotspot Chestnut http://www.chestnutasheville.com. On the menu it says, "We aim to under promise and over-deliver." They do, including the fried pickled green tomatoes with pimento cheese, tomato jam and pickled onions, hickory nut gap Bone-in-Pork Chop, and a sinful salted caramel tart. Visiting the Blue Ridge Parkway on a motorcycle doesn't burn dinner's calories, but we stop at every scenic spot to shoot photos of endless layers of hazy blue ridges undulating like waves in the distance. After, we return to Asheville and head to the Basilica of Saint Lawrence, whose domed ceiling was crated by Guastavino (who also did NYC's Grand Central Terminal and Carnegie Hall). Across the street the Craft Fair of the Southern Highlands, http://www.craftguild.org is taking place, two floors of exquisite artist-designed Southern Appalachian crafts. Then we head to the Eating Ashville walking food tour http://eatingasheville.com. Eating Ashville begins at the Battery Park Book Exchange & Champagne Bar. We sink into leather couches surrounded by books and sip bubbly. A sign reads, "Buy a book and get a free ice cream if you promise to keep your feet on the floor." This is followed by fresh Sangria and nibble tasty tidbits at Zambra Tapas, trout rillettes with white wine at La Table, blue cheese potato chips and chocolate-dripped sweet potato chips at Gourmet Chips, and La Strada for red wine and Penne Bolognese. As the finale, we waddle over to the French Broad Chocolates for fresh raspberry truffles. Next stop: the Grove Park Inn's gym followed by a well-earned visit to the spa http://www.groveparkinn.com/the-spa. After our tandem massages, they serve us champagne and chocolate-covered strawberries. Fortified, we head to Curate Tapas Bar http://www.curatetapasbar.com, one of Asheville's hottest restaurants. Putting ourselves completely in Chef Katie Button's hands, we try many melt-in-the-mouth tapas such as skirt pork steak, fried eggplant with bee's honey, and for dessert, a pistachio tart, homemade sorbets, and yogurt mousse. 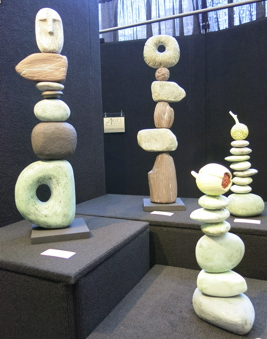 Like many artists and chefs, Katie and her husband moved to Asheville for the fresh mountain air and outdoor activities as did Peter Polley, chef/owner of Posana Café's http://posanacafe.com, where we have dinner on our last night. 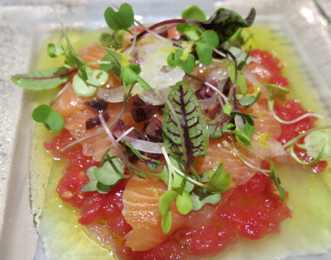 Posana is Asheville's only certified gluten-free restaurant serving such specialties as fried green tomatoes with fig, ham and pimento cheese, quinoa salad with fresh kale and sunflower seeds, and BBQ Spiced Sunburst Farms Trout with grits. Even the ginger ale is handmade from fresh squeezed ginger. Lastly, we head to Double D's Coffee and Desserts http://doubledscoffee.com, a real British double decker bus, where coffee-making is treated as a science. 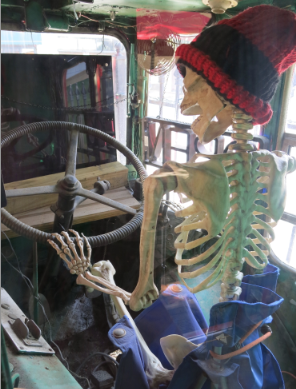 After our espressos on the upper level we walk back downstairs and I notice a skeleton sitting in the driver's seat, hands on the wheel, and grinning from ear to ear. He probably ate himself to death.